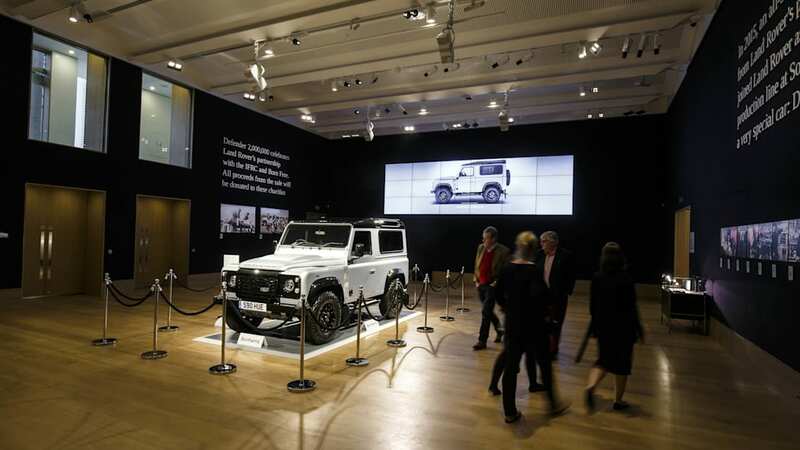 Land Rovers keep getting more expensive, but $600,000? 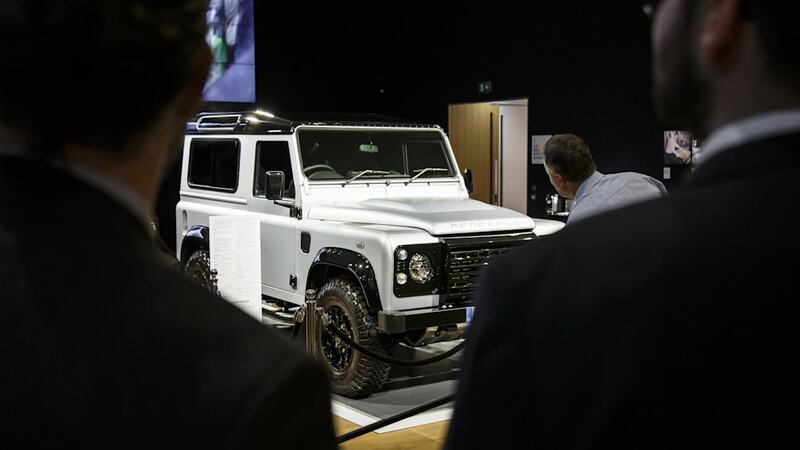 That seems like a lot – and it is – especially when the vehicle in question is a bare-bones, stripped-out Defender, and not, say, a fully loaded Range Rover Sport SVR. 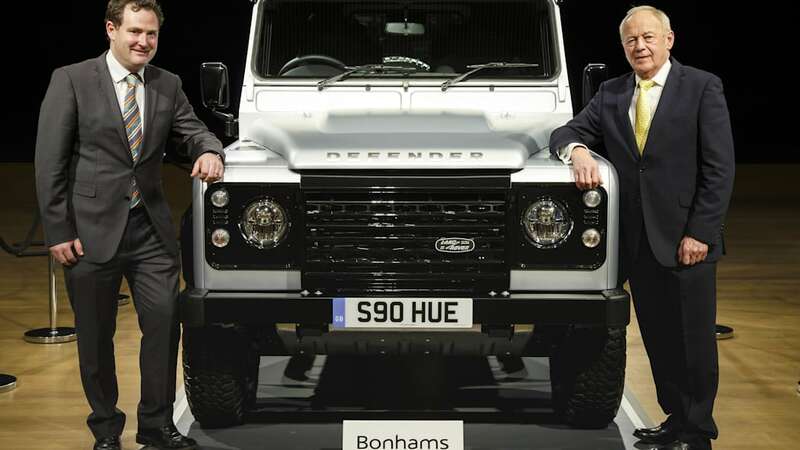 But this isn't any ordinary Defender, or a typical sale. 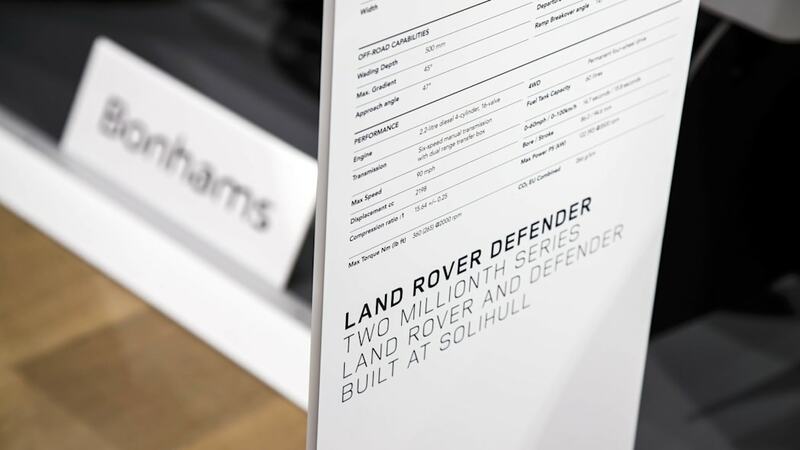 This is the 2,000,000th example Land Rover has built, counting all the Series models and Defenders that have rolled off the line at Solihull over the course of nearly seven decades. The milestone unit was specially outfitted with an engraved map of Red Wharf Bay (where the design was first envisioned) along with leather seats and special badges. 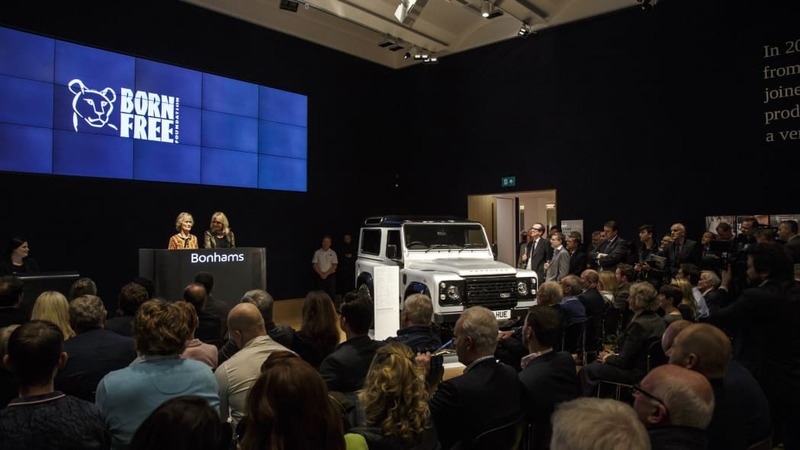 The manufacturer handed it over to Bonhams, which auctioned it off as part of a special event at its London headquarters. 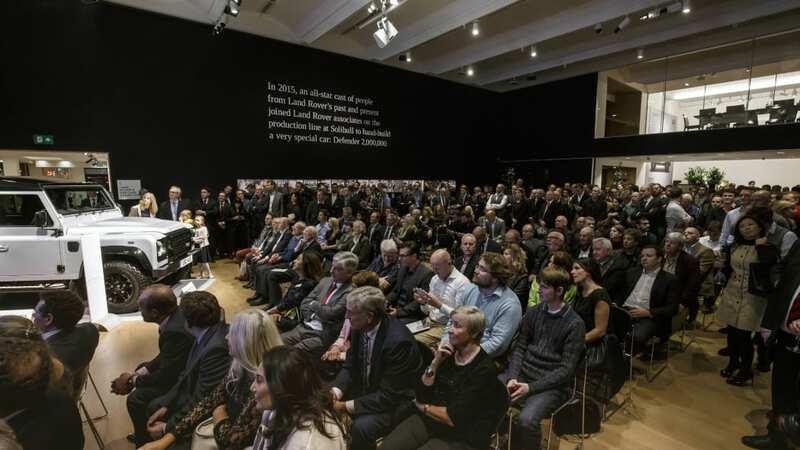 It sold to a Qatari buyer for an impressive £400,000 – equivalent to nearly $600,000 at current exchange rates. That's 17 times what a base Defender costs new in the UK, or three times what it charges for the new Range Rover SVAutobiography here in the US. 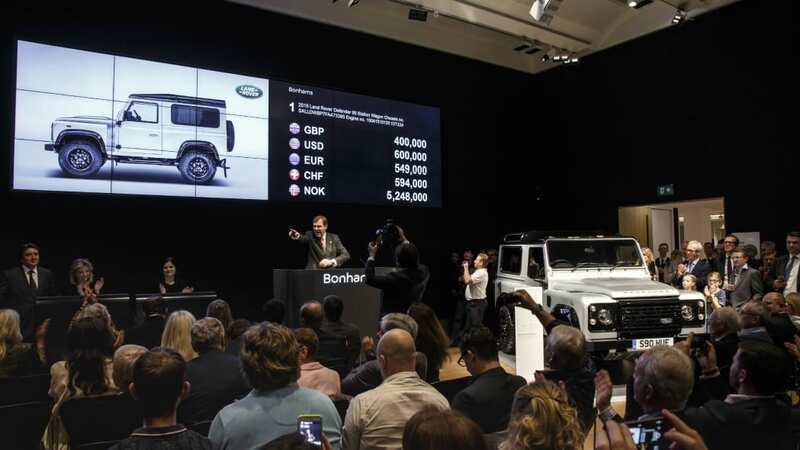 It's also the highest price ever paid for a Land Rover, according to both the manufacturer and the auction records at Sports Car Market. 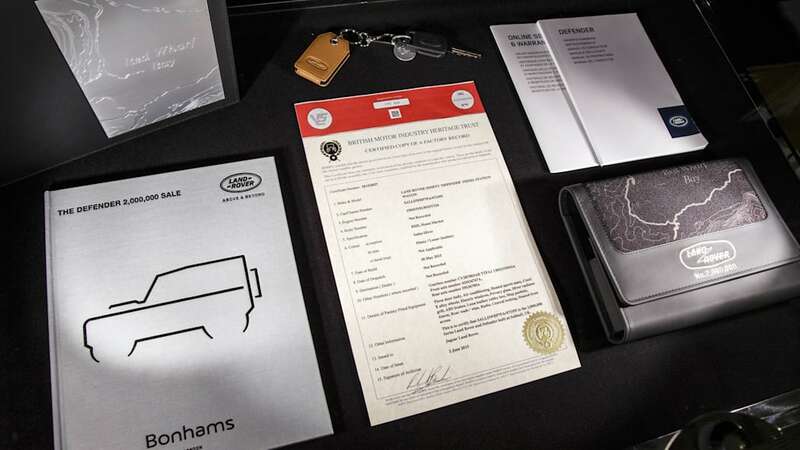 The previous high-water mark was recorded by last year by Silverstone Auctions, which sold a restored 1970 Range Rover at the Salon Privé in London for £132,250 ($217k at the time or under $200k today). Fortunately it's all going to a good place – or two good places, actually. The auction benefitted both the International Federation of Red Cross and Red Crescent Societies and the Born Free Foundation. The former has earmarked its portion of the proceeds for disaster preparedness in Nepal, while the latter will direct its share towards wildlife conservation in Kenya. Land Rover first hit the scene in 1948 with the Series I model, which was followed by the Series II and (you guessed it) Series III. 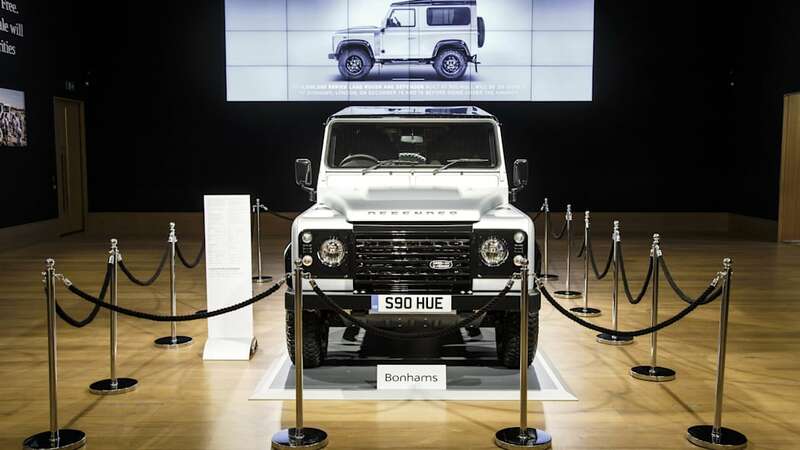 Initially called the Ninety and One Ten (according its approximate wheelbase lengths in inches), the Defender arrived in 1983 and has been in production ever since. It will end its production run next month, however, in preparation for the arrival of an all-new model. 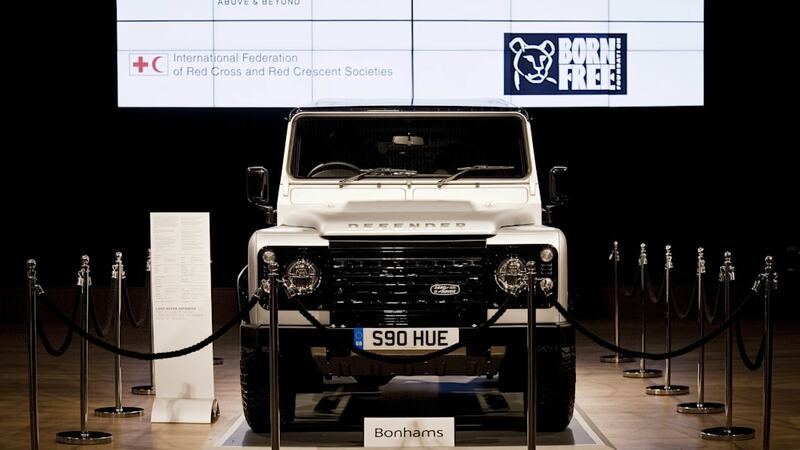 London, UK, December 16, 2015 – A one-of-a-kind Land Rover Defender sold for a record £400,000 at a prestigious charity auction at Bonhams tonight, from which all proceeds are being donated to Land Rover's humanitarian and conservation partners. 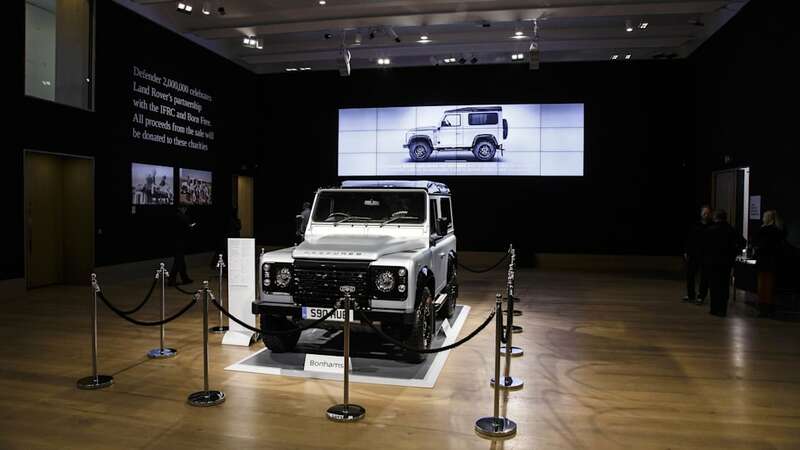 This is the thought to be the most valuable production Land Rover ever to be sold at auction. 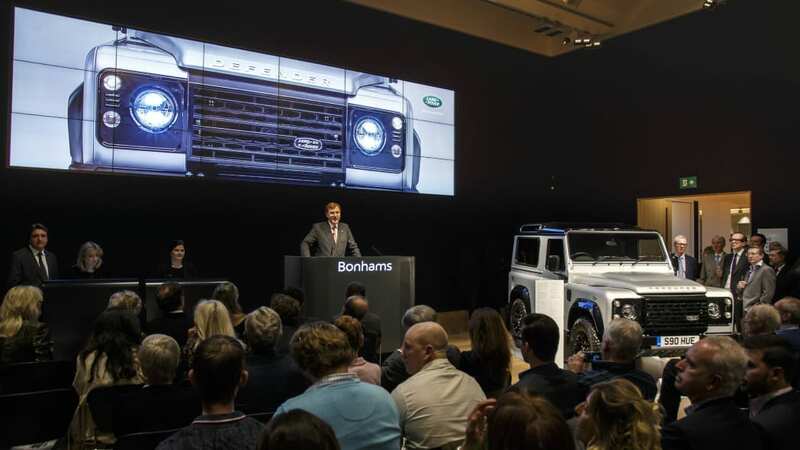 The unique vehicle, the two-millionth of the iconic Series Land Rover and Defender models manufactured at Land Rover's Solihull plant since 1948, was sold to a bidder from Qatar. 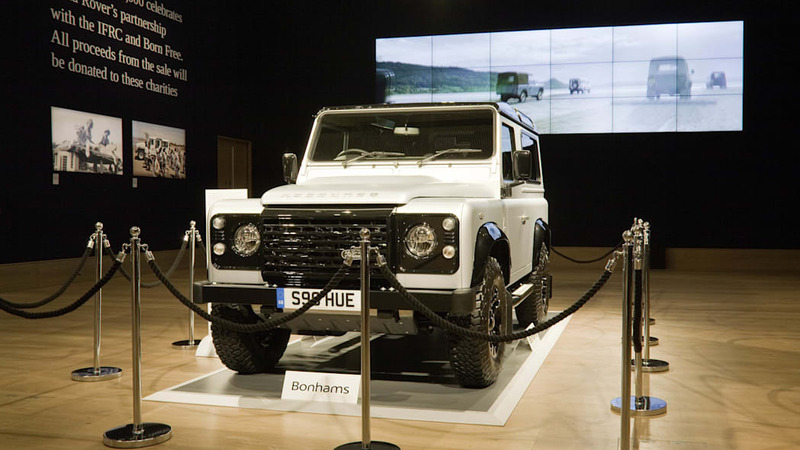 The vehicle was built in May 2015 by an all-star cast of brand ambassadors and people from Land Rover's history including Bear Grylls, Virginia McKenna OBE and Stephen and Nick Wilks, sons of the founders of Land Rover. All proceeds from the sale will be donated to Land Rover's humanitarian and conservation partners: the International Federation of Red Cross and Red Crescent Societies (IFRC), who will use the donation to help communities in South-East Nepal to improve how they tackle natural disasters, and the Born Free Foundation who plan to use the funds to support the 'Project Lion Rover' wildlife conservation initiative in Meru National Park, Kenya. The project provides critical equipment to help protect lions and other wildlife and establishes education and community involvement to tackle issues such as snaring and poaching. Attendee Joanna Lumley, Founder Patron of international wildlife charity the Born Free Foundation, expressed the importance of donations in the work they do worldwide to save lives, stop suffering and protect species in the wild: "To raise such a substantial amount with the sale of one vehicle is phenomenal. Without the support of the public and partners such as Land Rover, we would not be able to effectively make a positive change to the world as we know it." 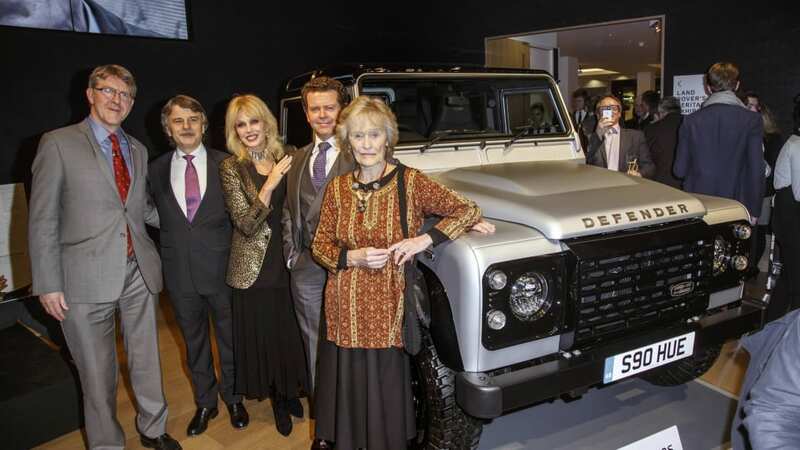 Born Free Foundation Founder and Trustee Virginia McKenna OBE said: "Despite seriously lacking mechanical skills, I was given the great privilege of attaching the number plates to this very special Defender. Land Rover has been in our lives since 1964, when my husband Bill and I went to Kenya to film 'Born Free'. Each day we went out in our vehicle with George Adamson and a lion; out on to the plains for our early morning walk. We are delighted that the money raised from today's auction will help Born Free's work with wildlife in the Meru area of Kenya." 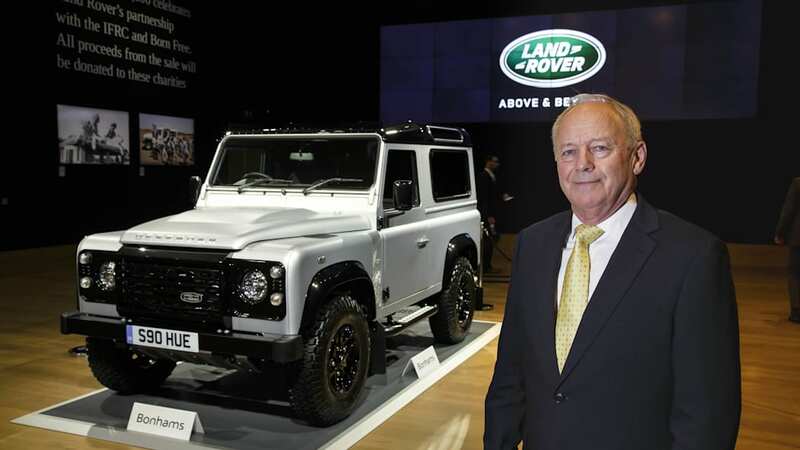 Mike Adamson, Chief Executive of The British Red Cross said: "We are extremely grateful to Land Rover for so generously donating half the proceeds of the sale of this one-off vehicle towards our work in Nepal. 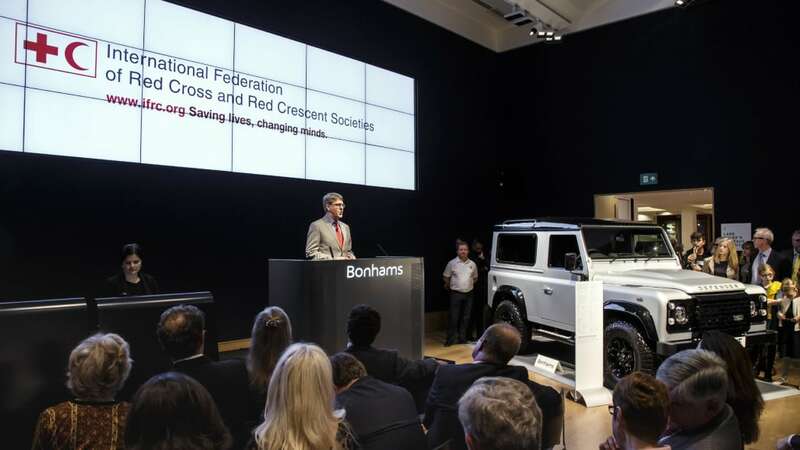 The Red Cross has used Defenders in humanitarian work and relief efforts in the UK and around the world since the early 1950s and has benefited from Land Rover's support on many occasions through vehicle donations and loans. This vitally important project in Nepal – the 18th supported by Land Rover – will improve the lives and livelihoods of thousands of people and communities." 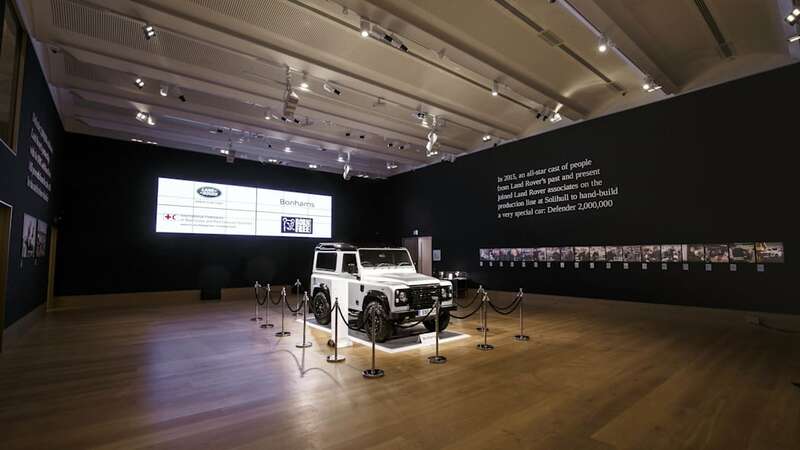 John Edwards, Managing Director of Jaguar Land Rover's Special Operations, who oversaw the build of the car, said: "Earlier this year, we had the opportunity to turn a milestone Land Rover into a true collector's car. With the expert help of my SVO team and a handful of willing Land Rover ambassadors, we created something unique and very special. Tonight's sale will go down as part of our history. 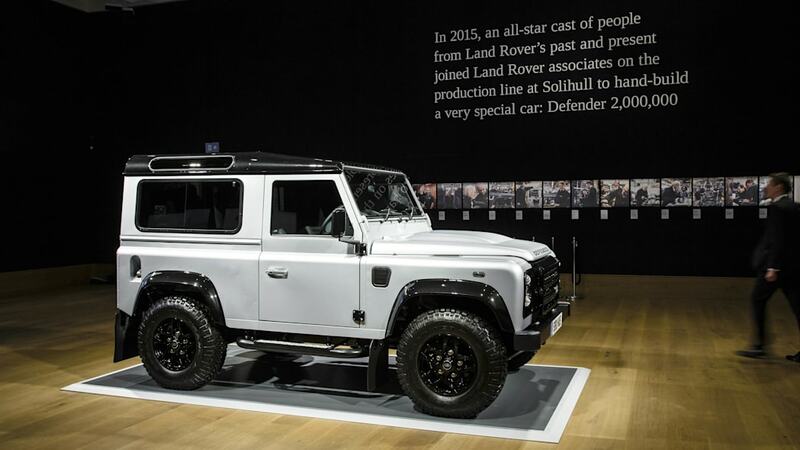 Of course, Defender has a future and will live on in its own right. 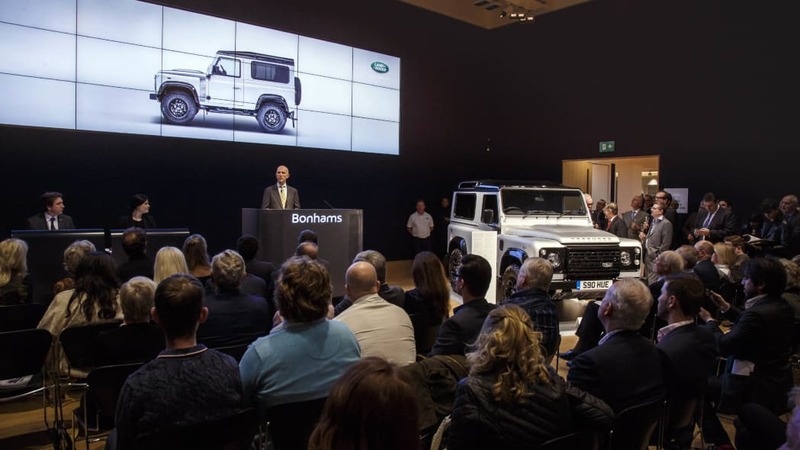 But the original Series Land Rovers and Defenders will also continue to thrive through our Jaguar Land Rover Heritage division." 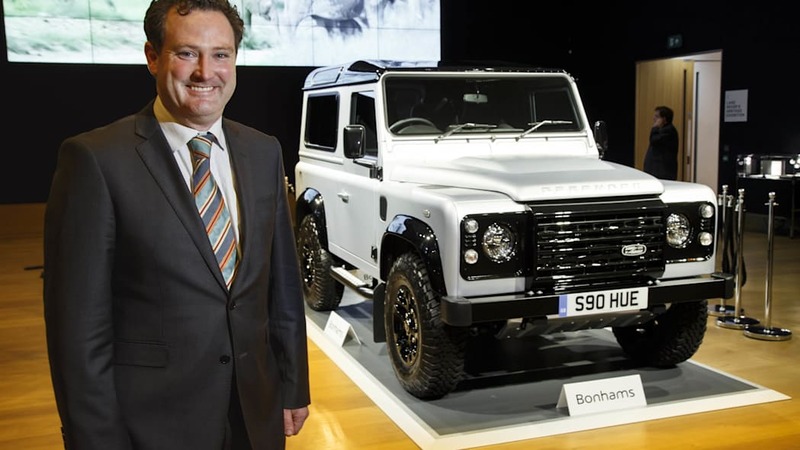 Robert Brooks, Bonhams Chairman, said: "It's a great privilege for Bonhams to have been selected by Land Rover to offer this historically significant, one-of-a-kind Defender at auction. Following spirited bidding, the gavel finally fell to a delighted bidder on the telephone, achieving an excellent six-figure sum for two wonderful charitable causes." 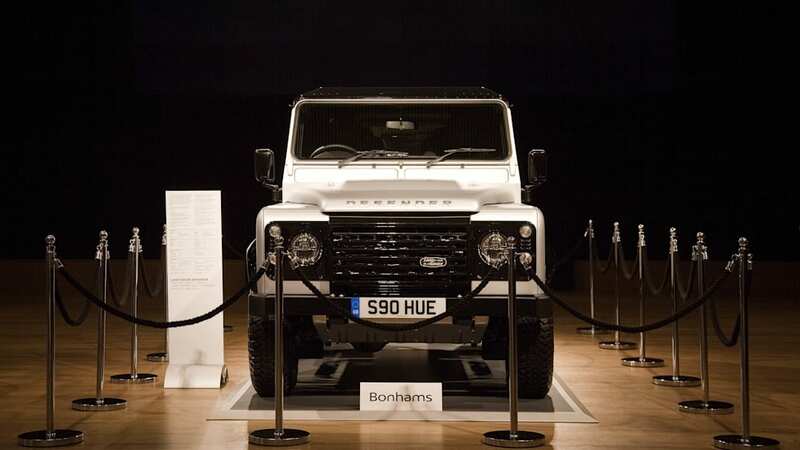 The vehicle, built as part of a year of celebrations for the much loved 4x4 which will cease manufacturing in Solihull in January 2016, boasts a host of distinctive and bespoke finishing features including an engraved map of Red Wharf Bay – where the design for the original Land Rover was first drawn in the sand, and a unique 'no 2,000,000' badge. Inside, the leather seats also feature the 'Red Wharf Bay' graphic and 'no 2,000,000' logos have been stitched on the headrests. A bespoke aluminium plaque, signed by everyone who helped to assemble the vehicle is fitted to the driver's seat. 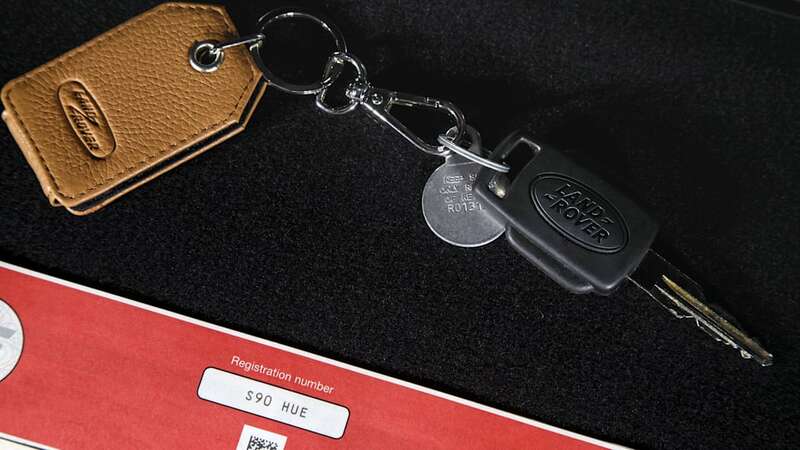 Special S90 HUE registration plates provide a fitting tribute to the first ever pre-production Land Rover, registration 'HUE 166'.